Oh, hair, I wish I looked after you better. I’ve said this so many times now, but it’s the most neglected part of my routine as I never know what to do with it! Since having it lightened, the ends have been slightly more damaged recently, despite laying off the heat tools. So, I’ve been trying my best in a sort of lazy way to keep ontop of it with some wonderfully smoothing products. 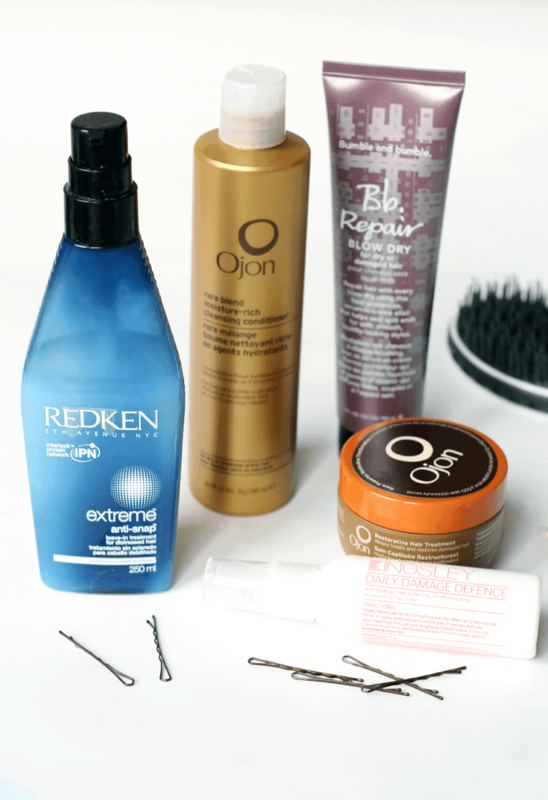 I’ve got a bit of a thang for Ojon at the moment, as a lot of their products are aimed towards keeping your hair in tip top condition. The Ojon Rare Blend Moisture Rich Cleansing Condition is a new concept to me, as someone with fine hair. It’s meant to be used instead of shampoo for those who wash their hair a lot to give it a bit of a break, as it cleanses but is very hydrating! I’ve also been using the Ojon Damage Reverse Restorative Hair Treatment once a week or every ten days to really put some moisture back into my hair. It’s one of those treatments you use on dry hair, leave on for 20 minutes and then wash it off as normal. It really restores condition and would work amazingly on very dry or frizzy hair! If you’re a fan of leave in treatments, or one you apply before you blowdry, then the next three are for you. 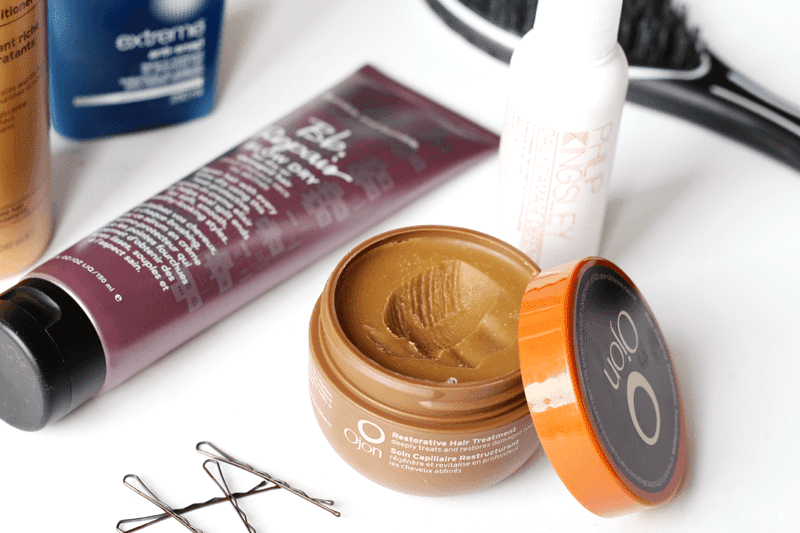 I’ve mentioned the Redken Extreme Anti-Snap Leave In Treatment before, but it really is a good one if your hair is prone to becoming quite fine on the ends or you love your straightners! The Bumble and Bumble Repair Blow Dry is a bit of an all rounder, as it helps protect hair against heat, smooths ends and has a serum built in for added help. It’s a new product from them (my favourite haircare brand, fyi) so one to look out for if you’re after a does-it-all kinda product, or are lazy like I am. Finally, something from the last Look Fantastic beauty box, I’ve been spritzing in a lot of the Philip Kingsley Daily Damage Defence Conditioning Spray into the ends of my hair if I want something super quick. It’s a great little spray that helps strengthen and protect hair and I love the size of this bottle too! What do you use to bring your hair back to life?